Leicester Print Workshop is the Midlands centre for fine art printmaking. 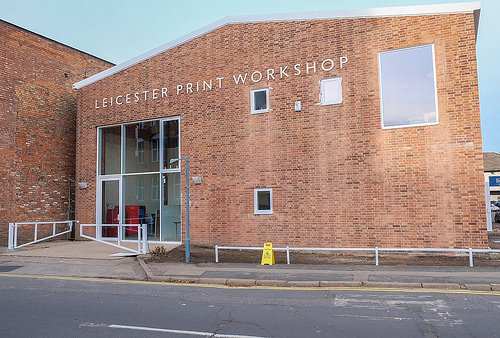 It is home to a large open access studio in central Leicester that houses equipment for silkscreen, stone and plate lithography, etching, engraving, relief and letterpress. It works with schools, community groups and arts partners to teach printmaking skills and runs evening and weekend courses for adult learners. The exhibition space has a regularly changing programme of print related exhibitions which are free to view. On-street parking in nearby streets is available. The nearest car parks are at Phoenix Cinema, and the NCP Car Park (LE1 1TQ). This is a wheelchair accessible site. There is blue badge on street parking on Queen Street and Southampton Street. Please call if you would like to reserve space in the small onsite car park.